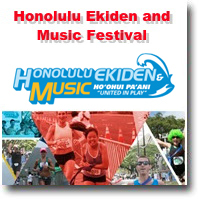 The Honolulu Ekiden is an authentic EKIDEN conducted over a 26.2-mile ocean view course certified by the USATF. Each runner wears a sash and passes it on to their teammate at the relay exchange station. The sash is a symbol that represents teamwork and unites the runners in their race to complete the course. NEW THIS YEAR: SOLO Marathon Runner category! Complete the entire course yourself, an incredible experience to see Oahu's beauty from Kapiolani Park to Sandy Beach Park and back! Team Relay Runners will enjoy beautiful ocean views along six different course sections with a total length of 26.2 miles or 42.195 km. Starting at the base of Diamond Head at Kapiolani Park, the course travels eastward along the coast, where it winds past popular Hanauma Bay. The turn around point will be famous Sandy Beach. A maximum of six runners may participate as a team. Each runner may choose the course section he or she desires to run. For teams with fewer than six members, a runner or runners may run more than one section consecutively. 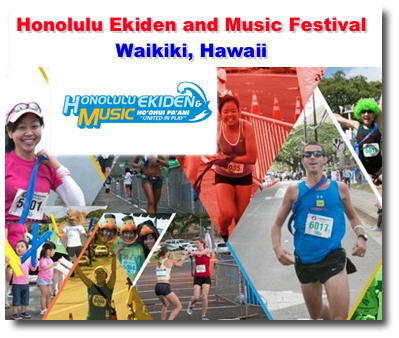 Ekiden participants from all over the world will experience a scenic yet challenging course on the island of Oahu along with top entertainment from local and popular Japanese artists in concert in Waikiki. For more information, visit http://hnlekiden.org, or visit their Facebook, www.facebook.com/hnlekiden.hi, Instagram, www.instagram.com/hnlekidenhi/, or Twitter, https://twitter.com/hnlekidenhi. 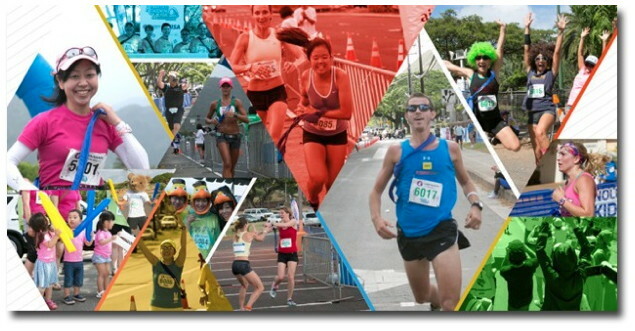 The Honolulu Ekiden Foundation was formed on January 3, 2013. Its mission is to promote the advancement of peace and social welfare among people of the Pacific Rim, Hawaii and Japan, in particular, through amateur sports and cultural activities. The Ekiden and concert will provide recreation, exercise, entertainment, cultural exchange, and an economic boost to the local community.